Roadtrip! 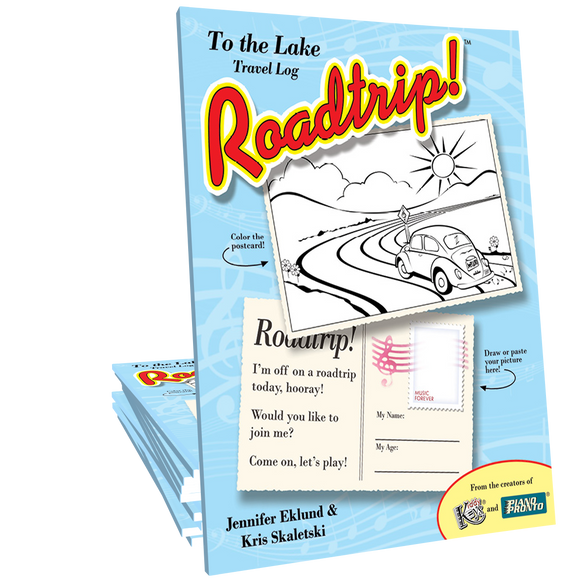 To the Lake Student Travel Log is an essential item for instructors using the Roadtrip! lesson book. All of the "at-home activities" from the Teacher Guidebook are pre-typed onto individual assignment sheets. Print out and send home with your students or annotate during the lesson on your iPad and email the assignments to the parents. Roadtrip! is so much fun for beginners and this Travel Log is a great tool to use for communicating the activities to be done at home. The format is easy to use and matches the student book. I appreciate the generosity of Piano Pronto and Jennifer Eklund in providing this resource free. Great for helping families support the student! And you can't beat free! The fact that this is offered free speaks to what great customer service Jennifer and her team offer. A teacher expressed a need for an assignment book specific to Roadtrip!, several others voiced their need as well, and within a week, this practice book was made available free of charge. This book really helps parents know what to do during home practice.